personal growth in all aspects of relationship. Big Island of Hawai`i for 21 years. San Francisco’s California Institute of Integral Studies (CIIS), and has continued to teach, heal, and inspire as a Licensed Marriage and Family Therapist, and as Clinical Director and Supervisor in both Mental Health Agencies and in Private Practice. 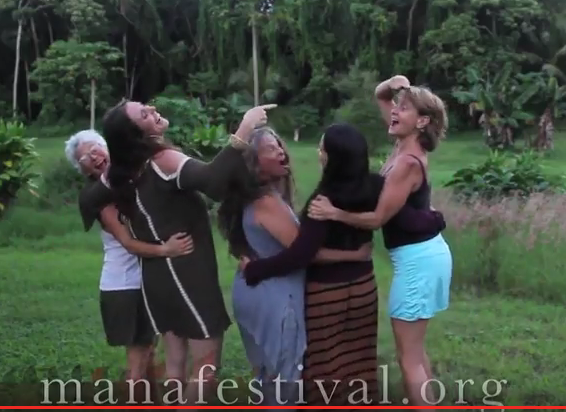 MAnaFest Big Island grew out of her desire to offer a larger healing container for women to learn, express, do deep work & raise their voices in an empowered celebration of the sacred feminine together, integrating the men that celebrate this energy, as well. of artists, dancers and musicians. "Aloha from Lavaland." alohafromlavaland.com which was recently featured on Hawaiian Airlines. MAnaFest is the convergence of her personal life mission to re-awaken the Sacred Feminine back into the hearts of all. Hope Medford (hopemedford.com) Co-founder of MAnaFest, works in the creative and healing arts~ as a musician, midwife, and educator. She is recently best known for her percussion and performing with the tribal world roots band, Medicine for the People. She has been playing and touring around the world with this socially conscious, activating music project since 2007. She has spent years leading and empowering over 2,500 participants in youth and women’s groups in rhythm & drum circles, encouraging participants’ creativity and strengthening their voices through music. Hope has 3 solo music albums as well, featuring women’s voices. Hope is also a midwife, having graduated from the National College of Midwifery and attended over 450 births, both in the US and in Senegal, West Africa, where Hope worked at a village birth center with the African Birth Collective. 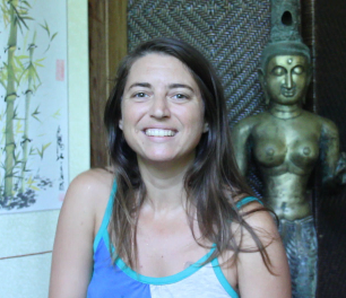 Her approach to birth has always been natural and holistic, focused on out of hospital care; she practiced at the first water birth center in the US, Andaluz Waterbirth Center. To educate and raise awareness for women’s health & birth options, Hope began the Artemis Healing Arts education program and has taught natural birth classes in Peru and Brazil as well as in the US. Hope’s commitment to the Earth is also important to her; she currently serves on the board of directors of the non-profit Honor the Earth, whose mission is to protect and provide sustainable options for indigenous land & culture in North America. She is also a co-founder of Tryon Life Community Farm, a non-profit education and demonstration center for sustainability in Oregon. natural building, and community skills. Hope is constantly creatively weaving her love of the earth with respect for women in her projects. In Sept 2016, she was a presenter & teacher at the Healhty Birth, Healthy Earth conference at the renowned Findhorn Ecovillage in Scotland. Educator, and Ceremonialist for 30+ years. She is deeply attuned to the Natural World, as teacher and guide. As a Grandmother, Jill is committed to serving her community traditionally by finding ways to share her gifts, talents and wisdom and supporting ways for others to do the same. Marcela Solera is a dancer of life. She has spent over 20 years on the leading edge of the ever-emerging new paradigm culture, both locally in Hawaii and internationally. 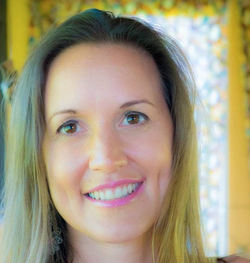 An entrepreneur since age 27, Marcela has grown and assisted a series of events, supporting personal growth and transformation; healthy and sustainable lifestyles; leading-edge spirituality; and community connection, such as Big Island Dance Camp, Keiki Day (Oahu), Mahina Fest (Oahu) and Onanya (a fair trade clothing line, supporting indigenous groups). She is a prominent positive force, continuing to develop new businesses and events that support the emerging new culture, and inspiring the development of deep community. The greatest teachers I know came unexpectedly. Having children made me question everything from expectations to the meaning of one's existence. In 1996 A Course In Miracles came into my life. So inspired by the teachings I immersed myself in a community living and applying those principles to everyday life. During those years I became a minister and one part of the ministry was councilling ACIM students. Working with people who had a desire to look deep within became my passion. With each session I facilitated I could feel the love within me grow. During the past 22 years I have explored deep within the mind, watching beliefs and patterns affect all interaction for clients and myself. Beyond ACIM and beyond the ministry I continue teaching what I have learnt. I share how to be present in every moment, so you can listen to the voice deep within guiding you to a place of harmony in everyday life. Amberay Light began co-creating and producing dance events and music gatherings on the Big Island in 2001. The last few years she has been heavily involved with many of the local festivals, dances and fundraisers. Currently Amberay manages Bee Dance, a weekly event at Hawaiian Sanctuary. She is passionate and dedicated about bringing together our community for harmonious and uplifting experiences. 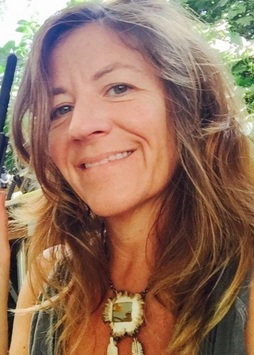 Andrea Sparks, MA , Andrea Sparks is deeply committed to healing the root of consciousness that supports honoring the goddess. She believes in helping all beings to recognize and heal the divine feminine and masculine within. To this end, she has been training, practicing and teaching through tantric traditions with the International School of Temple Arts, Conscious Sensuality, ZEGG forum traditions, Quodoushka and Tantravaya yoga. and is serving Kambo to those wanting a total reset. serves the highest good for all beings. and Crystal Dawn Morris (Sky Dancing Tantra). 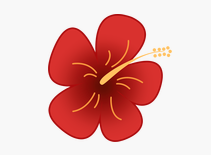 Le`a has practiced PsychoTherapy on the Big Island of Hawai`i for 20 years. Mental Health Agencies and in Private Practice. and Family Therapy as adjunct faculty member, and many more years of Coaching self-care for caregivers. together, integrating the men that celebrate this energy, as well. 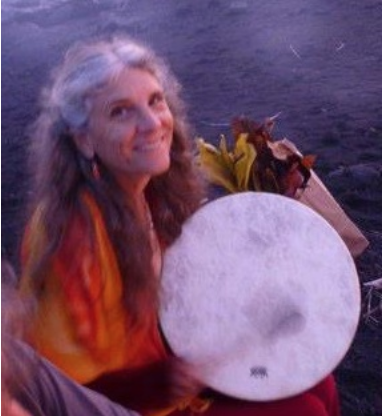 Hope Medford (hopemedford.com) works in the creative and healing arts~ as a musician, midwife, and educator. She is recently best known for her percussion and performing with the tribal world roots band, Medicine for the People. She has been playing and touring around the world with this socially conscious, activating music project since 2007. She has spent years leading and empowering over 2,500 participants in youth and women’s groups in rhythm & drum circles, encouraging participants’ creativity and strengthening their voices through music. Hope has 3 solo music albums as well, featuring women’s voices. Hope’s commitment to the Earth is also important to her; she currently serves on the board of directors of the non-profit Honor the Earth, whose mission is to protect and provide sustainable options for indigenous land & culture in North America. She is also a co-founder of Tryon Life Community Farm, a non-profit education and demonstration center for sustainability in Oregon. She began the education and events programs there which continue to feature permaculture farming, natural building, and community skills. Hope is constantly creatively weaving her love of the earth with respect for women in her projects. She has just returned, in Sept 2016, from being presenter & teacher at the Healthy Birth, Healthy Earth conference at the renowned Findhorn Ecovillage in Scotland. She is currently proud to be a co-founder of MAnafest 2016 & 2017, honoring the feminine on the Big Island of Hawaii. She has been basing on the Big Island for about 6 years now, and is proud to create this event for our Wahine and Ohana. Melissa is a visionary, web-weaver, cross-pollinator, event coordinator and commUnity organizer. She is passionate about supporting people to see their own talents and gifts and encouraging them to offer them to the world. 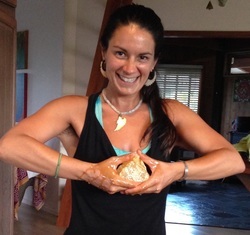 Melissa has called Hawaii hOMe for close to 5 years and is in Love with Living Life in Puna! Here she founded and co-facilitated an empowerment group for teenage girls called the Blossoming Lotuses. She was an organizer, part of the core visionary team, and food vendor coordinator for the Ho'ohana, "A SustAINAbility Talk Story" Festival in Kalapana. She is currently the manager of the Seaview Eco-Epicurian Waterfarm, an inspiring permaculture farm devoted to the earth-conscious pursuit of sensual pleasure, especially to the enjoyment of water, food & commUnity comfort. She regularly hosts various local commUnity events and special dinner clubs where she invites in local chefs and musical talent, and, every chance she has, she works with her friends at Pohaha I Ka Lani, a Hawaiian non-profit organization rooted in Waipio Valley that practices and perpetuates cultural knowledge and land stewardship. Melissa tends the honeybees of various Hives in Puna, deeply listens to their messages, and is focused on living life in Hive Consciousness. For MAnaFest 2016, Melissa poured her MAna into organizing all the workshops and ceremonies, the Red Tent, the MAna MarketPlace (creative vendors), the Food Vendors and the Healing Grove. She looks forward to co-creating the magic of MAnaFest 2017!! diverse group of artists, dancers and musicians. Smithsonian's collection at the National Museum of the American Indian. both currently active on the film festival circuit. Zenne is a regular Facilitator at Kalani Oceanside Retreat's long-running, legendary EDance and is presently engaged in the Volunteer Office. Puna Music Festival, Puna Culinary Festival and lluminato. MAnaFest 2016, Val volunteered and acted as goddess of Queen-Up helping keep the grounds clean during and after the festival. This year her involvement includes overall planning and pouring her energy into the Red Tent where she is visualizing and dreaming a loving tight container for some inspiring and powerful workshops. wellness retreat experience at Hawaiian Sanctuary. custom cleansing packages and more!